B Corps - are amazing. 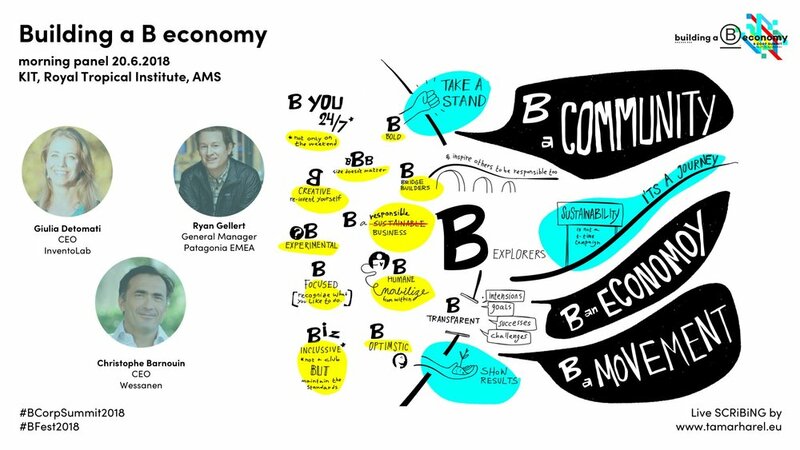 I always knew it, but last June I got to see it in full action when I joined the 3-day B Corp Summer Summit, which took place in Amsterdam and brought together over 500 people, B Corps, and fellow travelers, to explore how can we create a an economy where business balances purpose and profit and impact is leading to scalability, profitability, and positive change. My contribution - delivering a Visual Dialogue session as part of the B Experience morning in the @patagonia EU office and in visually capturing the key sessions. For more information on B Corporations visit the summit's website and B Lab Europe.